A video recording of the opera, Wallenberg, composed by Estonian Erkki-Sven Tüür, is to be screened in Tel Aviv, Israel, on 15 January. The video is a recording of the performance by the Estonian National Opera where Wallenberg was staged in 2007. The opera premiered in 2001 at the Opernhaus Dortmund. Tüür told Estonian World that the screening of his opera in Tel Aviv “is definitely special”. “I have a very positive feeling about it,” Tüür, who is going to be present at the Tel Aviv screening, said. The Estonian Ambassador to Israel, Malle Talvet-Mustonen, added that the screening of Wallenberg is achieved thanks to the Estonian embassy and in cooperation with the International Raoul Wallenberg Foundation and the Swedish embassy in Israel. “It’s because of the fact that it’s unusual for an opera about such a person to exist, in addition to it having been written by an Estonian composer, that we have to introduce it to wider audiences,” the Ambassador said. The opera, with a libretto by Lutz Hübner, is developed from the events in Raoul Wallenberg’s personal life. According to Tüür, Wallenberg has been performed in three theatres – in Dortmund, Tallinn and Karlsruhe – which for a modern opera is quite good. “Often it happens that one performance represents, in fact, two – the first and the last,” the composer said, adding that there’s also a DVD of the Tallinn performance. 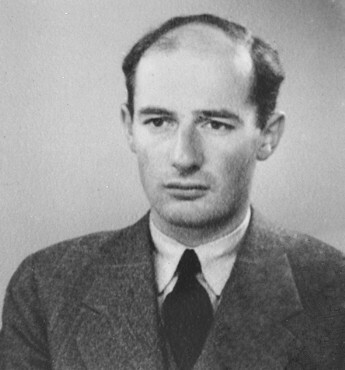 Raoul Wallenberg was a Swedish diplomat who, during the Holocaust, saved thousands of Hungarian Jews from the Nazis by issuing protective passports and sheltering Jews in buildings designated as Swedish territory. On 17 January 1945, Wallenberg was detained by the Soviet authorities and disappeared. It’s believed he died on 17 July 1945 in and by the hands of the Soviet KGB. Tüür said that the idea for the opera came from the director of the Opernhaus Dortmund, John Dew, in 1998. “I agreed [to compose the opera] immediately,” the composer recalled. Wallenberg is to be screened at the Tel Aviv Cinematheque on 15 January at 6:30 pm. The opera is in German, with English and Hebrew subtitles. Cover photo: A scene from the Wallenberg performance of the Estonian National Opera.